Use these straight-board sanders to reveal low spots in the metal or for finish sanding. Have hardwood handle, rubber-backed aluminum plate, and sandpaper clips at each end. Accept standard 2-3/4"w x 17-1/2"L sandpaper. 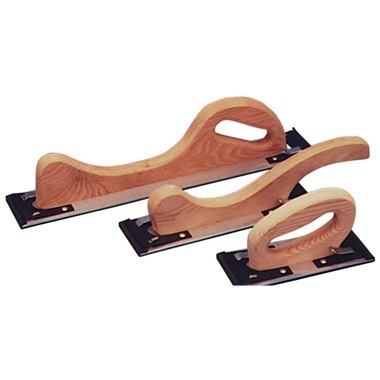 These sanders work really well and they are comfortable to use.